Welcome to our virtual behind-the-scenes tour where we try to answer the question, Whose job is it, anyway? Learn all about behind-the-scenes Zoo jobs! It takes people with many different skills to care for the animals at the Zoo. Find out whose job it is through this series of videos designed for our field trip visitors. You can enjoy this virtual inside peek from the comfort of your classroom or use it to structure your field trip—or any visit!—to the Zoo. Keepers train animals for behaviors that help the animals participate in their own care. Keepers design and deliver a wide range of enrichment to encourage animals to use their natural behaviors. 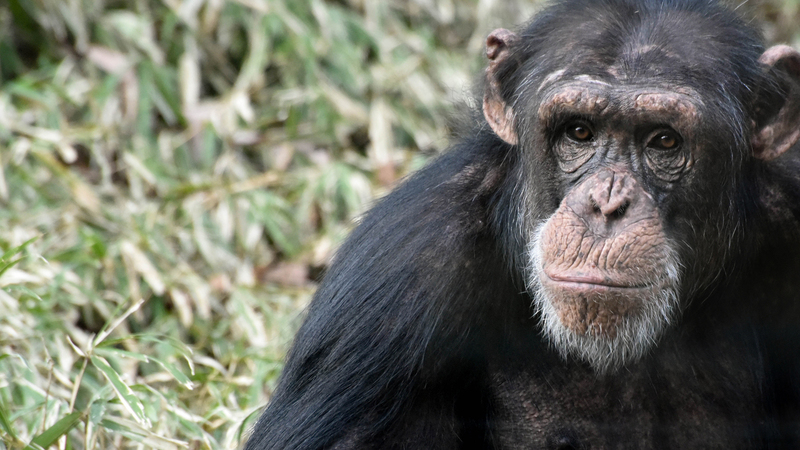 For the Zoo’s chimps, enrichment lets them explore, play, nest, and otherwise act like chimps! Otters visit their latrine, or bathroom zone, to deposit their waste and to sniff out useful information about each other. Poop holds clues to an animal’s health, and that’s why Zoo vet techs (and the otters) take the study of poop seriously. Looking after the health of hundreds of Zoo animals is a huge job. It falls to a dedicated team of veterinarians, veterinary technicians, and keepers who work in the Zoo’s Animal Hospital. Ectothermic (cold-blooded) animals survive cold winters by burying themselves in mud or under leaves and brumating, which is similar to hibernating. Keepers help resident reptiles prepare for their winter’s nap. Some animals have a bear of an appetite, while others just peck at their food. Every species of animal at the Zoo has its own particular food needs. A special team of keepers consult with veterinary staff, order the food, prepare the diets, and make daily deliveries to keep hundreds of hungry animals well fed. Knowing the needs of every species at the Zoo and keeping the water just right—whether clean and clear or muddy and murky—is the work of our water quality specialists.